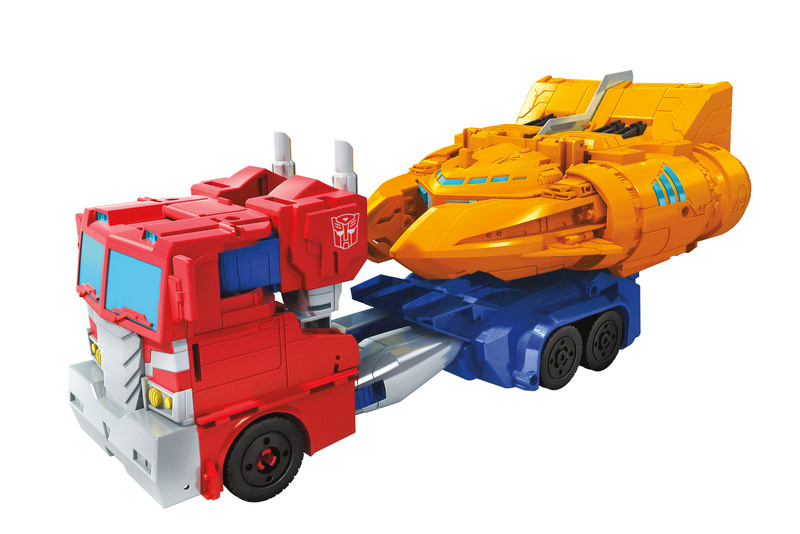 Hasbro has sent out some preview renders for upcoming Transformers Cyberverse figures. The theme will be Spark Armor, which has each core character with a secondary vehicle that turns into armor. This is being applied across multiple size classes. Included are Spark Armor Battle Class Prowl, Jetfire, Sky-Byte, and Starcream. Spark Armor Elite Class Bumblebee, Megatron and Optimus Prime. To cap it off we get Optimus Prime again with Ark Armor, which features the core Optimus figure paired with a replica of the G1 Ark that converts to his armor (pretty cool). Read on to check out shots courtesy of &#187; Continue Reading. The post Transformers Cyberverse 2019 Preview appeared first on Transformer World 2005 - TFW2005.COM. If these are Legends-scale then they look pretty cool. I'd love to get that Sky-Byte. I've also been looking for a Megatron to match up with my THS-02, so if this one is a similar size then I'll probably pick him up, too.